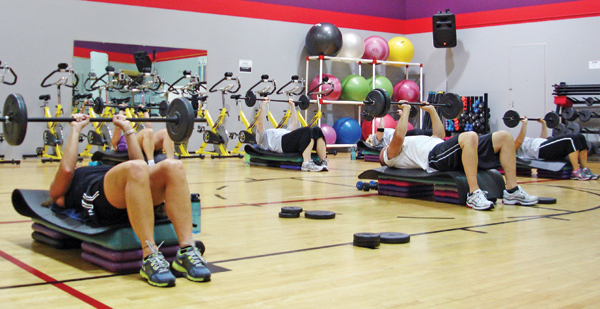 The Capital Racquet & Fitness Center, located in north Bismarck, has indoor tennis courts, racquetball and wallyball courts, indoor track (1/9 mile), a fitness center with strength and cardio equipment, group fitness classes, saunas, and hot tubs. The facility also offers child care. The following lessons are available throughout the week. Call Katrina at 221-6855 to set up lessons with one of our certified tennis instructors. Semi – private $23/hr. $25/hr. Group of 3 $17/hr. $19/hr. Group of 4 $14/hr. $16/hr. Group of 5 $12/hr. $14/hr. Silver members and non-members can reserve a tennis court two days in advance (one court/person). 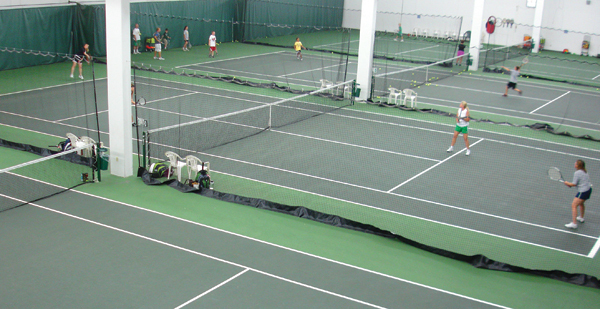 Gold members can reserve tennis courts seven days in advance (one court/person). All members may reserve racquetball courts seven days in advance. Our pro shop in the main lobby carries healthy snacks along with a variety of tennis and racquetball merchandise. Racquet stringing is available. Come check out our affordable prices!